Share Recipe Gallery with your friends ! What is new in Recipe Gallery? Save any recipe from magazines, cookbooks, recipe cards, and Web sites in less than a minute with little or no typing. Recipe Gallery is the fastest and most convenient way to save, find and use the recipes you love. 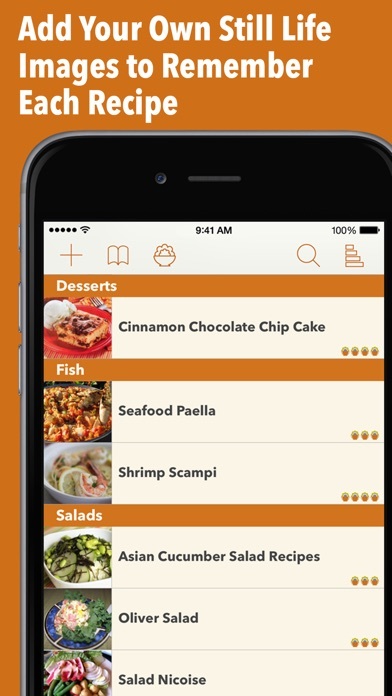 Recipe Gallery uses the camera of your iPhone or iPad along with modern optical character recognition (OCR) to capture, index, and store recipes in an easy to search and use image format. It also captures and saves recipes from the Web, making them a permanent part of your gallery. 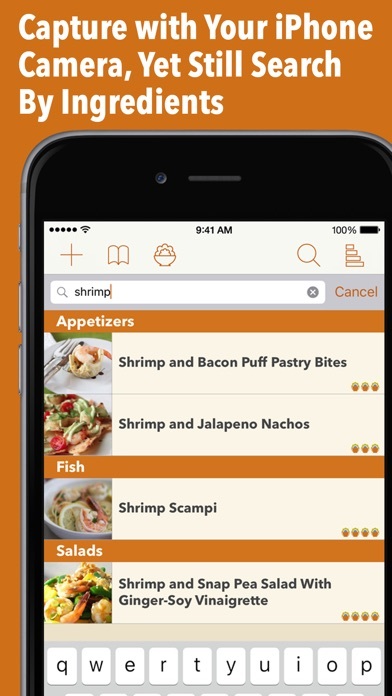 Quickly save any recipe in one convenient format and place. Then find the recipe you need with a simple search that looks through the recipe name, ingredients, instructions, and any additional notes you've made. All your recipes are assessable even when you have no internet connection. 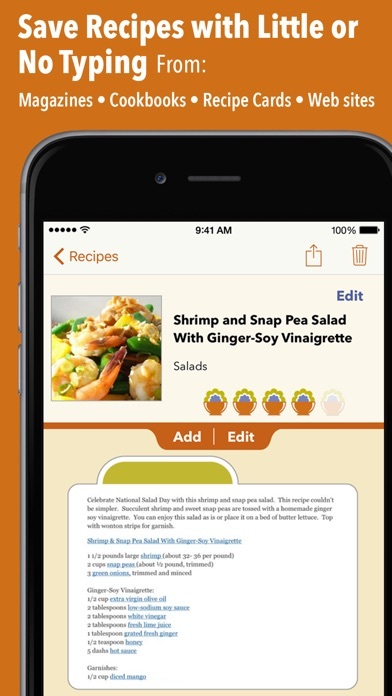 As an iCloud enabled app on both the iPhone and iPad, you can view or capture a recipe at any time and still have large easy to read recipes on your iPad in the kitchen. 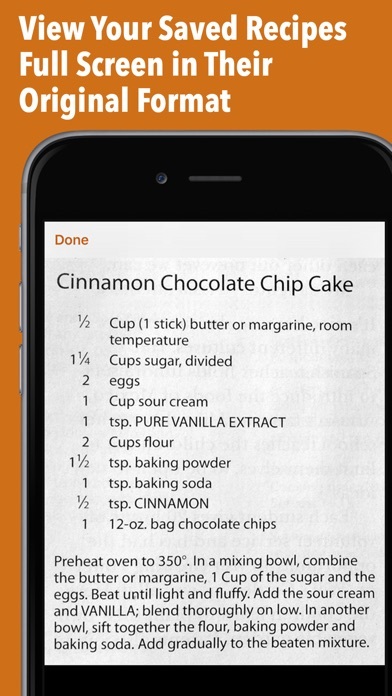 You can print your recipes, and sharing them is easy with a simple tap and email. 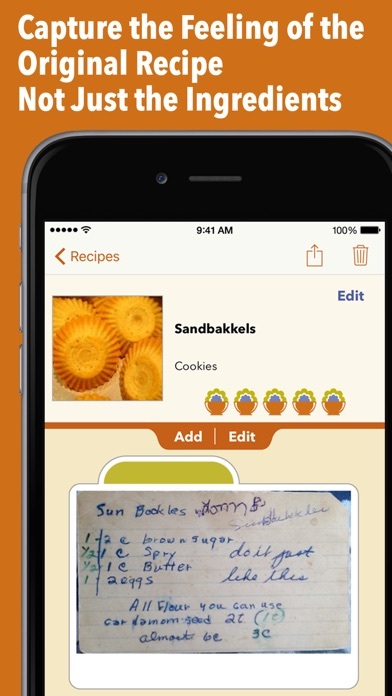 You can also share recipes directly with other Recipe Gallery users via AirDrop or email. Store as many notes as you want along with any recipe. Save notes like nutritional information, alterations and improvements, or the date you served it last. All the notes are searchable and easy to edit.